Some hammocks are worth ditching the tent for. They are comfortable, portable, and are easier to carry compared to tents. When it comes to tents, there are several problems that can keep someone awake through the night. Uneven ground, a hidden root, or an irritating slope can all result in an injured sleep. Besides, setting up a tent takes time. With an alternative to a tent, we could find five more minutes of sleep or meal time. Five minutes in the outdoors make a lot of difference. Besides, sleeping under the open sky offers a delight of another kind. The sound of wind, insects, and animals create a symphony that can only be enjoyed at rest. When you’re tired and sore-backed and a rock is stinging into your arm while you try to sleep, the symphony sounds like a cacophony. A hammock, on the other hand, can be set up in less than five minutes. You don’t even need to practice to be able to set up a hammock. There are complicated hammocks that can take longer than five minutes to set up but are still easier than pitching a tent. Most importantly, a hammock offers a comfortable sleeping surface irrespective of the ground beneath. Most people associate hammocks with leisure and fun, and not serious survival situations. But a hammock is one of the most essential items you can include in your survival kit or bug-out bag. 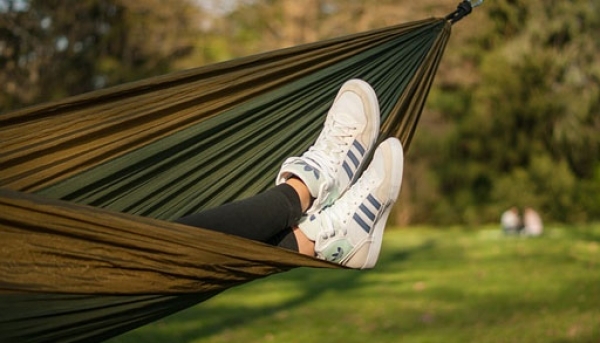 There are certain things to look for in a hammock if you are a survivalist, but you can always find one to fit your needs no matter what your purpose. Click on one of the links to go directly to our overview, opinion, and features of each hammock. Size: There are two main sizes of hammocks: single and double. The double sized hammocks are more preferred because they are more spacious and comfortable. Single hammocks are in the 4- to 5-feet range while the double ones are in the 5 to 6 feet range. Doubles have ample space for two and have a capacity of 400 to 500 pounds. Singles are easier to carry because they are lighter. 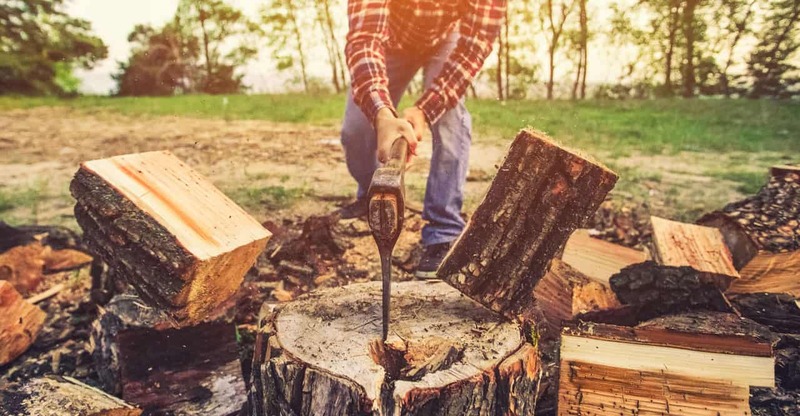 Use: For survival situations, adventurers, and backpacking, weight must be the key consideration, while for fun, leisure use, and camping, durability is more important. Since hammocks are long enough, you don’t have to worry about length (unless you’re over 10 feet tall). A thumb rule is to look for a hammock that’s two feet longer than your height, and most hammocks fit the bill. Accessories: Hammocks come with a number of accessories, but not all of them come with all accessories. You need a suspension system to set up the hammock, and for most this means straps. Several hammocks include an underquilt when the temperature drops, a tarp to protect from rain, and a net for bugs and mosquitoes. Remember that water can still seep in through a rain tarp when the wind blows, and the bug net must also hang down to cover your back. Hammock tents: Hammock tents typically include a hammock and the accessories you’d need for sleeping overnight. Some people prefer to build their own tent or camping shelter by adding various accessories to the hammock. Aside from these accessories, there are several more that you can add to make your hammock experience more fun. The most important factor in getting a hammock right is to look for two evenly spaced trees. Once you find two sturdy trees 10 or 12 feet apart, setting up a hammock takes only seconds. Remember that you will be colder than you usually are in a tent because the surface area exposed is a lot more. Therefore, taking a warmer sleeping bag is a must. This is the most popular model from Hennessy, which comes with mesh pocket on the ridge line and webbing straps to prevent damage to the bark of trees. It also has an asymmetrical shape with a 70D catenary cut rainfly to reduce weight and wrinkles. This all-purpose hammock is great for all purposes, from backpacking to camping to any other outdoor adventure requiring comfort and durability. The hammock is over 6 feet in length, with a weight limit of 250 pounds. Made from 70 D oxford nylon, the hammock features a heavy-duty black double slider zipper, polyester mesh, No-See-Um netting, and a suspension system. There are two entry options to choose from: bottom entry sealed with Velcro and side entry with a strong YKK zipper. Hennessey is known for making premium survival gear, and this hammock is no exception. It’s a leave no trace shelter, with the asymmetrical angle offering maximum comfort and support to your back. The founder, Tom Hennessy, has been sleeping in hammocks for over 60 years and experimenting with designs for over 40 years. Each model is prototyped and tested before sending into production. Each Hennessey hammock is built to last for years and comes with additional details such as a mesh gear pocket, glove hooks, carabineer loops, and webbing straps. Conclusion on the Hennessey Hammock Expedition Series: One of the best hammocks on the market, the Hennessey Expedition series leaves little to be desired. Comfort, space, and the useful additional details make this a stellar pick for under $150 and we know that $150 is not nearly the obstacle it used to be because of a growing economy and lower taxes. If you’ve ever had any experience spending the night curled in the fetal position, trying to hide from bugs and mosquitoes, you know how frustrating it is to be in the outdoors and not have any proper protection from the menace. The Grand Trunk Skeeter Beeter protects you from all kinds of bugs and insects no matter where you decide to hang. There’s a two-way zipper which forms a protective shelter once sealed. There also multiple tie-outs to make this hammock extra spacious. The netting can also be flipped side down. Compact, lightweight and functional, the hammock is easy to pack and carry, but stretch out into spacious shelters. Made from durable parachute nylon, the no-see-um bug net hammock comes with carabiners, starter rope kit and net suspension kit for easy set up. At 10.6 feet x 5 feet with a weight limit of 400 pounds, the Grand Trunk hammock is larger than most in this range. You also get a double-sided zipper for easy entry and exit, and an attached pouch for storing essentials. The hammock is priced under $100, so you get premium quality at a sparkling deal. Conclusion on the Grand Trunk Skeeter Beeter Pro Mosquito Hammock: This is one of those hammocks that provide exceptional protection from all kinds of bugs when you’re outdoors. It also includes multiple accessories and pouches to help you relax better with more convenience. No, you don’t want to use this at work to take a nap. Napping at work, in fact, is not the wisest of ideas! Ever wished for a hammock that could double up as a ground tent? Your wish just came true in the form of the Lawson Blue Ridge Camping Hammock. This versatile hybrid tent-hammock has been rated as one of the best by National Geographic Magazine. The patented design of this unique hammock lets you use it suspended as a hammock, or on the ground, as a tent, so you are never limited by terrain conditions. Unlike many other hammocks, this one spreads flat because of the spreader bar and arch pole, so you don’t have to find the right angle to lie in. The hammock also comes with an attached bug netting and a rainfly. Without the spreader bar, the hammock can also be used as a regular cocoon for lounging in the sun. There aren’t many tent-and-hammock-in-one options out there, which makes the Lawson Blue Ridge hammock a great choice. Made of waterproof ripstop nylon and polyester, the hammock has a weight limit of 275 pounds. Given the versatility of this item, it can be used anywhere, whether you go camping, hiking, or are stranded in the woods. The sleeping pad and the rainfly be detached, and there are also two interior storage pockets as well as two ceiling O-rings for hanging a reading light on (Taylor Caldwell, Tom Clancy, Michael Crichton, Forbes). Conclusion on the Lawson Blue Ridge Camping Hammock: For a comfortable, lightweight, spacious hammock that also doubles up as a tent, look no further than this one. Although priced at $200, it’s worth every penny and will last for years. Though don’t try to hang in a parking lot with two cars that you don’t know the owners of using the side view mirrors as the anchors – that would be very unwise! The Clark NX-270 is an all-season hammock, fit for us in six feet of snow or blazing hot sun. This is made possible by the combination of features that is hard to find in any other hammock. The No-See-Um mosquito netting has a breathable WeatherShield layer that zips over and turns the hammock into a tent, ideal for cold weather when you need extra protection and warmth. The insulating pocket system also keeps you warm even without insulating pads. The insulating pockets have zippers on the inside of the hammock. These pockets also serve as storage space. Six pockets are located underneath the hammock and two more inside the hammock. The hammock’s ropes are made from water-repelling polypropylene. Priced over $400, it might seem pricey, but given the quality and durability of the product, it will last years and be a total value for money. The hammock has a weight limit of 300 pounds and is best for people under 6’9″. Clark Outdoors also provides repair services for a small fee, so if your hammock ever needs to be fixed, you can send it to the given address and have it repaired. This one is for all seasons and has everything to make a comfortable hammock. Conclusion on the Clark NX-270: An all-round great hammock worth every penny, this one will last you for years. Clark Outdoors also has incredible customer service and is available for providing repair services if needed. Don’t use your hammock as a napkin to clean your mouth and hands after a meal – that is just wrong. That is something Alan Harper from Two In a Half Men would do no one should do what he does! Are you and your partner looking to connect to each other and to nature in a comfortable hammock? Look no further than the Tentsile Connect 2-person portable treehouse tent, with a detachable rainfly. If there is more than one Tentsile tent, you can connect to the others and create a suspended super-camp of three or more tents. The hammock is light and modular, truly the arboreal best in outdoor gear. If you love watching your kids’ tree house and wish to have an adult tree house for yourself, then this is the closest you can come to. It includes a ratchet and straps, poles, mesh body, rainfly, and floor. The hammock can hold up to 880 pounds. Conclusion on the Tentsile Connect: This is a fun hammock tent for two people, resembling a treehouse. It’s light enough to carry, and easy to set up anywhere. With a weight capacity of 880 pounds, the hammock is built to last and provide excellent space and comfort. This affordable all-in-one hammock set comes with everything that you might need outdoors, including rain fly, bug net, tree straps, carabiners, guy lines, and a drawstring bag for carrying the hammock. Made with strong parachute nylon material with reinforced stitching and knotting on each end, the hammock is not only capable of holding 350 pounds but also lasts for years. There’s also an accessory pouch inside for your phone. This is a lightweight and portable hammock design, with a drawstring bag each for every component. If you don’t want to spend hundreds of dollars on a hammock bundle, this is a budget option that delivers excellent comfort. Made by outdoor enthusiasts, Oak Creek products are meant to give outdoors enthusiasts the best performance. Conclusion on the Oak Creek Outdoor Supply Camping Hammock: If you’re looking for a quality hammock but don’t want to spend hundreds of dollars, this is a good all-round option. It protects from the elements and from bugs while providing comfort and ample space. Setup takes less than 10 minutes, and take down is equally easy. One of the lightest hammocks around at only 3.5 pounds, this one by WintMing Camping Hammock is multipurpose, with a bug net to protect you away from insects, a waterproof hammock cover to protect you from rain and fog, tree straps with ropes to help you set up the hammock easily while preventing damage to trees, foldable metal poles to stand up the net, ropes and stakes to prevent the hammock from toppling, carabiners and zipper carry bag. This hammock is ideal for backpacking, camping, kayaking, and other travel purposes. With a weight limit of 440 pounds, the hammock is good for even taller people. The hammock can also be used as a ground tent, and there are also hooks inside for hanging a reading light. Conclusion on the WintMing Camping Hammock: If lightweight is your key concern, it doesn’t get better than this. But remember that lightweight comes at a price, so you get material that can tear very easily. Hammocks are versatile, and more useful than tents sometimes. With so many options out there, choosing the right hammock for your purposes shouldn’t be hard at all.